Afghan women’s rights campaigner Anarkali Honaryar and Palestinian peace activist Khaled Abu Awwad have been conferred the 2011 UNESCO-Madanjeet Singh Prize for the Promotion of Tolerance and Non-Violence, an award instituted in memory of Mahatma Gandhi. The $1,00,000 award will be divided equally between the two laureates, who were selected by an international jury. The award ceremony will be held at the UNESCO in Paris on December 9. Ms. Honaryar was cited for her commitment and tireless work to improve the conditions of women and minority groups in Afghanistan and to promote the ideals of human dignity, human rights, mutual respect and tolerance. As a member of Afghanistan’s minority Sikh community, Ms. Honaryar’s constant battles to protect the rights of the needy had earned her the epithet, the ‘Sherni’ (lioness) of Afghanistan. As much as she has received public recognition for helping women who suffer owing to domestic abuse, forced marriages and gender discrimination, Ms. Honaryar is also known for advocating the rights of Afghanistan’s religious minorities. After the Afghan parliamentary elections in 2010, Ms. Honaryar became the first non-Muslim woman member of Afghanistan’s Wolesi Jirga, the lower house of parliament. Mr. Abu Awwad was chosen for the award for his efforts to promote tolerance, peace and non-violence through his work as a peace activist and leader in the reconciliation process between Palestinians and Israelis. Active on both sides of the Israeli-Palestinian divide, Abu Awwad is the general manager of the Palestinian branch of the Parents Circle Families Forum (PCFF), an organisation of Palestinians and Israelis who have lost immediate family members in the conflict. In 2006, Mr. Abu Awwad — along with other leaders and prominent members of the Palestinian peace movement — founded AI-Tariq (The Way), the Palestinian Institution for Development and Democracy, of which he has been the manager and Executive Director since 2006. The UNESCO-Madanjeet Singh Prize was created in 1995 on the initiative of Indian writer and diplomat Madanjeet Singh to mark the 125th birth anniversary of Mahatma Gandhi. The prize is dedicated to advancing the spirit of tolerance in the arts, education, culture, science and communication. It is awarded every two years to individuals or institutions for outstanding contributions to the promotion of tolerance and non-violence. The members of the international jury that determined the winners of the 2011 Prize were Ioanna Kuçuradi (Turkey), Maurice Glele Ahanhanzo (Benin), Kamal Hossain (Bangladesh), Masateru Nakagawa (Japan) and Mokhtar Taleb-Bendiab (Algeria). Shankar Lal, at age 63, wants to reclaim his native “House of Love” after living in exile in India for 20 years. The Hindu patriarch is from Prem Nagar, Hindi for House of Love, a once-prosperous Hindu village in southeastern Afghanistan that over the years has been absorbed by the neighboring city of Khost. 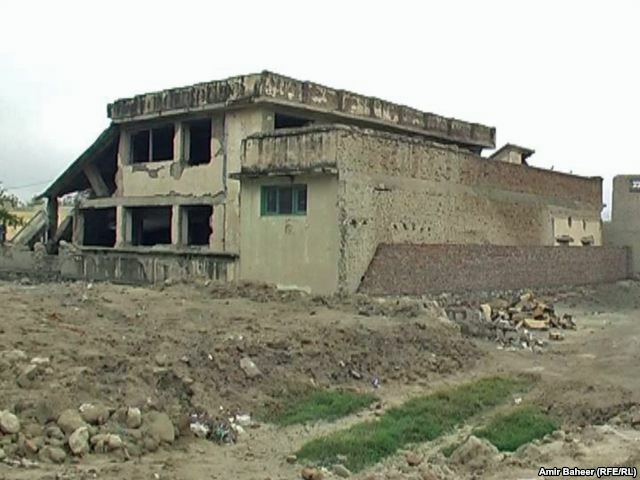 For the past two weeks Lal and other leaders from Khost’s once-vibrant Hindu and Sikh communities have been petitioning provincial authorities to force local strongmen from properties they vacated amid the civil war in the early 1990s. 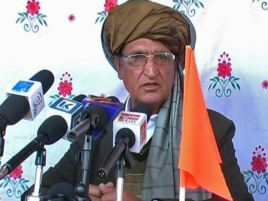 Support promised by local officials and tribal elders has Lal looking forward to a day when his grandchildren can return to Khost. “I want them to relive my childhood in our hometown,” he says. From afar, Lal and others from the community have kept close watch on developments in their home country. 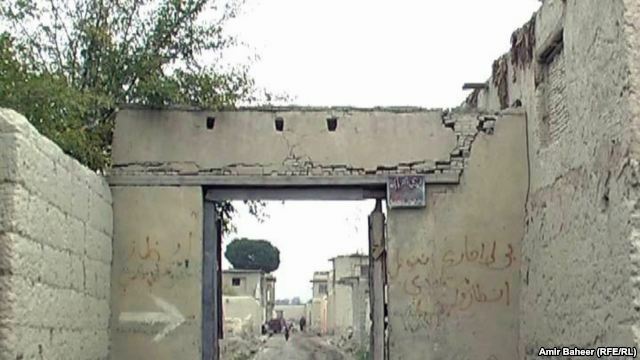 One of the two main entrances to the Hindu village Prem Nagar in Khost. Hundreds of Hindu and Sikh families living near New Delhi are now ready to return, and have sent Lal and other elders to make preparations. The immediate goal is to reclaim Prem Nagar, now part of eastern Khost, where they plan to rebuild a grand temple to mark their return. Next they hope to restore the pieces of a once-thriving trading community in Khost by opening pharmacies, grocery stores, and textile shops in the booming border town. Lal, a pharmacist by profession, has returned every few years since fighting forced him to move first to Kabul and then to India in the early 1990s. But this time he wants to stay put and live to see his grandchildren make friends with local Pashtuns. Prem Nagar, known to local Pashtun Muslims as Hindu Qala, enjoyed a cordial relationship with surrounding communities. Some 150 Hindu and Sikh families lived in the 25-hectare village, which was enclosed by massive mud walls in line with local Pashtun architecture. Former residents still remember the peaceful prewar days with nostalgia. Charan Singh, a 48-year-old Hindu, recalls the two minorities living like brothers with Muslims. When the war reached Khost and surrounding areas, most local Hindus and Sikhs headed for Kabul, and later for India. But Singh set up a pharmacy in Kabul and never left, allowing him to keep in close contact with friends from home. He says that his community can rebuild their harmonious life with the local Pashtuns, but they first need to rebuild their utterly devastated village. At 80, Sudhal Singh is old enough to remember how Prem Nagar came to be a regional Hindu center. The former shopkeeper, who is part of the visiting delegation from India, can recall the days seven decades ago when a local government official convinced elders to live in one community near Khost rather than being scattered in remote mountain villages. He says that the development of Prem Nagar improved communal life and brought prosperity to the Hindus and Sikhs who owned most of the businesses there. Ruins of the Hindu temple in Prem Nagar. Things have changed drastically. Now Pashtun tribesmen, whose ancestors abhorred trading, are the dominant shopkeepers, with an estimated 15,000 shops in Khost. But Singh’s visits with old friends have convinced him that the return of Hindus and Sikhs would be welcomed, and that there is plenty of opportunity despite the new competition. If all goes as promised, Prem Nagar will be handed over to the community represented by the delegation by the end of the month, and Lal is optimistic that everything will work out.